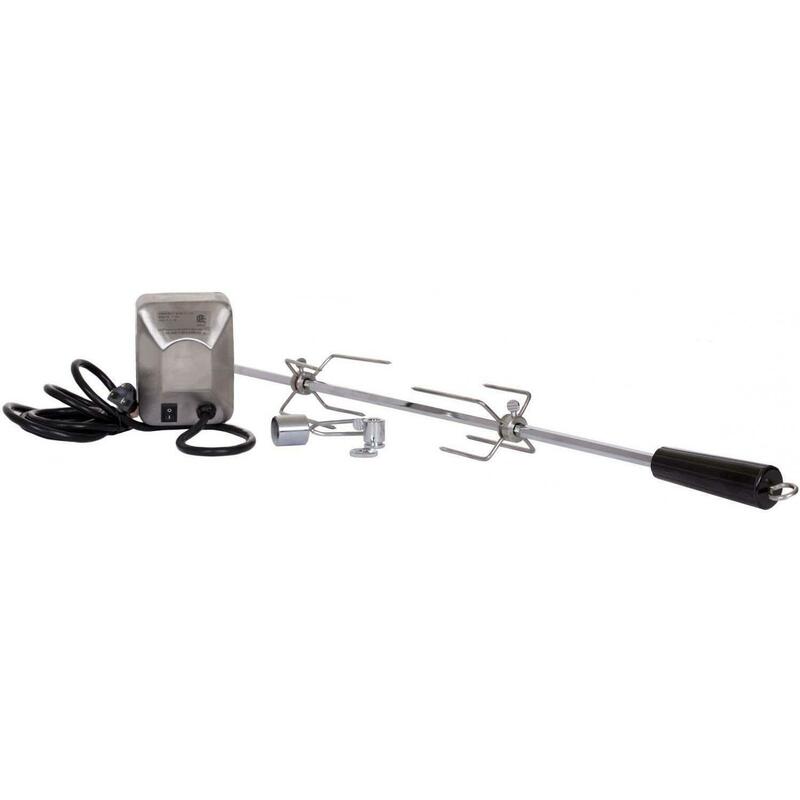 Product Description: Bull Heavy Duty Rotisserie Kit - 46000. 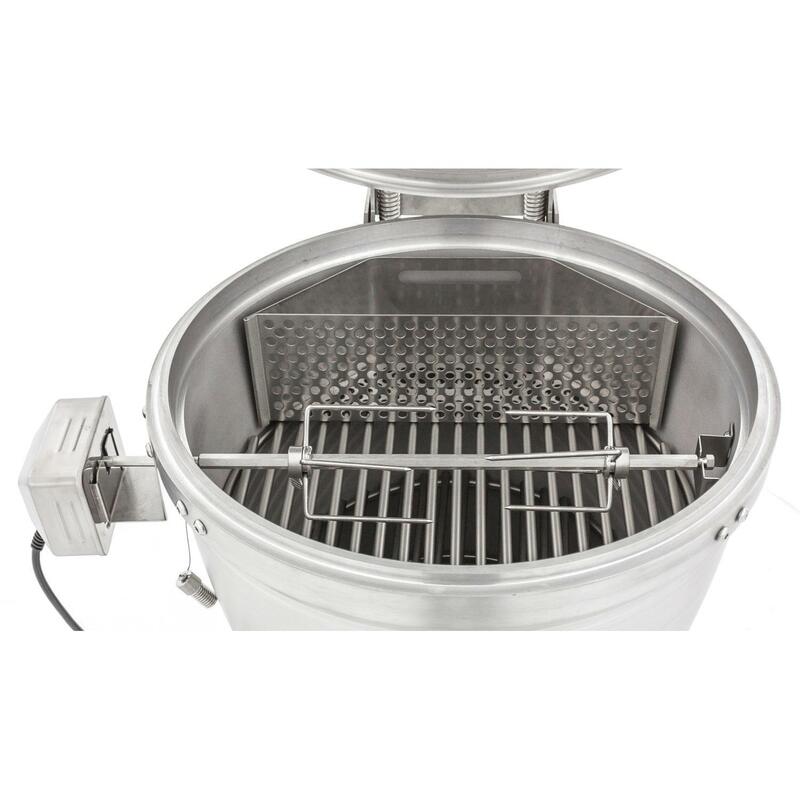 This heavy duty rotisserie kit fits in the Bull Angus, Bison, Lonestar Select, Outlaw and 7-Burner Premium grills. It includes a motor, spit rod and meat forks. 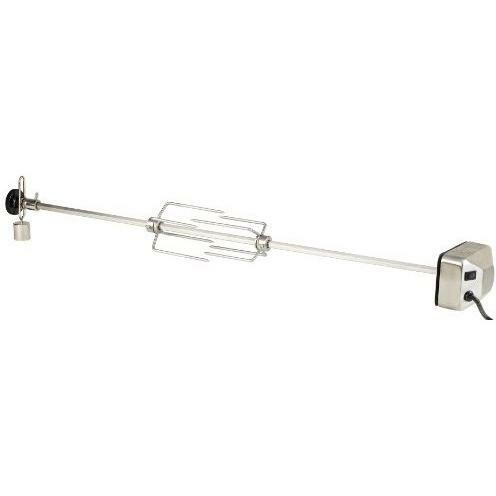 The maximum capacity of this rotisserie kit is 20 pounds.